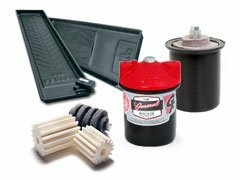 Founded in 1937 in Detroit, MI by Art and Grace Redner, General Filters, Inc. began manufacturing oil filters out of their small home in Detroit. The original filter was an after-market bypass oil filter that offered the latest in a replaceable wool filter cartridge. The product addressed an important need: to reduce the frequency of oil changes. Most cars sold in the 1930’s did not come with oil filters and required oil changes every 500 to 1,000 miles! The business quickly grew, and they moved to a storefront operation that offered while-you-wait filter installation while also expanding into the fuel oil filter market to accommodate residential boilers. During World War II, General Filters did its part to help Detroit become the “Arsenal of Democracy”. The company designed and built a portable filtration system for the Allied fighter planes and bombers operating in the difficult environment of North Africa. The filter was mounted on the back of a jeep and could be driven to each plane to filter the oil; significantly reducing service time and increasing the number of missions each plane could fly on a daily basis. This experience changed the focus of General Filters from a service company to a true manufacturing company. Continued growth required relocation; twice to larger facilities in Detroit. In 1953 the company moved to its present location in Novi, Michigan; at that time just a small town with many farms and orchards. A national sales force was established in the US market, and Canadian General Filters Products was established in the Toronto area to serve the Canadian market. General Filters, Inc. moved into the Indoor Air Quality (IAQ) Market by manufacturing and marketing GeneralAire® whole-house humidifiers in the early 1950’s. Over the years residential home construction had improved, better insulating and protecting the interior of homes from outdoor temperatures and debris. Consequently, these new construction methods created an ever-growing need for better Indoor Air Quality, and for residential home heating and cooling systems to be much more diverse and sophisticated. Using the latest technology available, GeneralAire® premium brand whole-house humidifiers, air cleaners, dehumidifiers and air purifiers have become the complete line of dependable, high quality IAQ solutions for today’s energy-efficient homes. GeneralAire® indoor air quality products allow you to Breathe Healthier in the comfort of your own home. 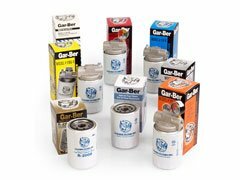 The Gar-Ber Spin-On, highly efficient residential fuel oil filter was pioneered by Jim and John Berg. The Gar-Ber Brand Spin-On Fuel Oil Filter exceeds the standard for filtration of fuel oil in home heating appliances. Today, Gar-Ber is manufactured by General Filters, Inc. to the same high-quality specifications as the Berg Brothers produced over the years. Innovative and highly reliable, you can always count on Gar-Ber to be superior in quality and best in performance. Unifilter® Fuel Oil Filters were developed to challenge the generic imitators that entered the home fuel oil filtration market. A lower-cost alternative to the General Brand Filter, Unifilter® is a highly-dependable fuel oil filter that rivals any generic brand in the market today. You can count on your home’s oil furnace to run smoothly with Unifilter® filtration. 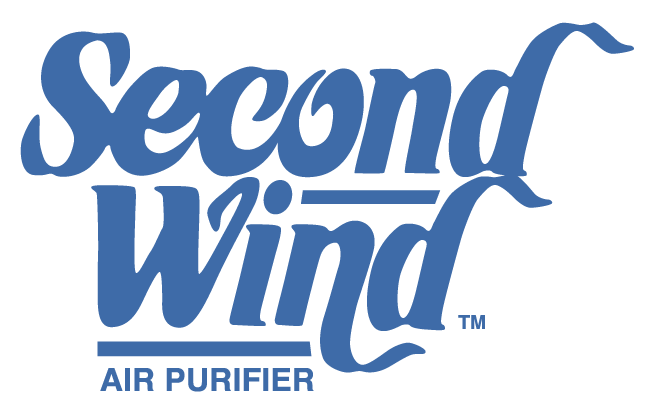 In 2014, General Filters, Inc. acquired Air & Energy Products, expanding their breadth of residential, whole house dehumidifiers. Two new models were added to the lineup: DH70 (removing as much as 70 pints of moisture per day) and the DH95 (removing as much as 95 pints per day). In addition, the units include a MERV 11 air filter that continually protects your unit. With a compact design, they are not only effective removing excess moisture but can also be placed in crawl spaces, attics, basements or other areas of the home where space is tight. General Filters is striving to become the industry leader of indoor air quality and filtration products by improving the quality of our customers' lives with outstanding products and services. We plan to achieve this by utilizing industry experts and leading edge technology to develop products with exceptional quality and performance. These products will be competitively priced and marketed globally through distribution channels that value customer relationships and remarkable customer service. 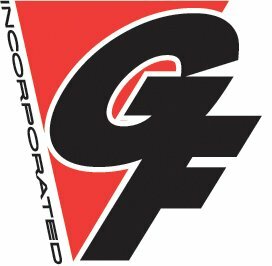 Founded in 1937, General Filters, Inc. developed the wool-felt fiber element for cleaning home heating oil. Since their inception, General Brand Fuel Oil Filters have allowed residential and commercial oil furnaces to run more efficiently. Setting the standard across North America for reliability and dependability, General is the brand you've come to trust for over three generations to keep your home heating equipment running smoothly year after year. The Gar-Ber Spin-On, highly efficient residential fuel Spin-On Fuel Oil Filter exceeds the standard for filtration of fuel oil in home heating appliances. Today, Gar-Ber is manufactured by General Filters, Inc. to the same high-quality specifications as the Berg Brothers produced over the years. Innovative and highly reliable, you can always count on Gar-Ber to be superior in quality and best in performance. 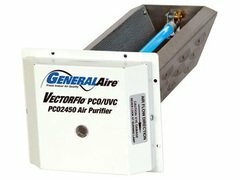 General Filters, Inc. moved into the Indoor Air Quality (IAQ) Market by manufacturing and marketing GeneralAire® whole-house humidifiers in the early 1950's. Over the years residential home construction had improved, better insulating and protecting the interior of homes from outdoor temperatures and debris. Consequently, these new construction methods created an ever-growing need for better Indoor Air Quality, and for residential home heating and cooling systems to be much more diverse and sophisticated. Using the latest technology available, GeneralAire® premium brand whole-house humidifiers, air cleaners, dehumidifiers and air purifiers have become the complete line of dependable, high quality IAQ solutions for today's energy-efficient homes. GeneralAire® indoor air quality products allow you to breathe healthier in the comfort of your own home. 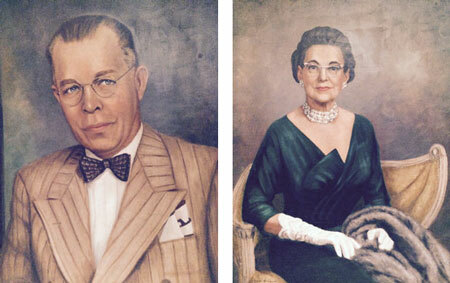 Back in the 1930’s, when forced air furnaces relieved the homeowner from “stoking the coal fire,” Art and Grace Redner were there. It was a revolutionary time. The production of “glass wool” or fiberglass as an insulator sparked new levels of home comfort. Developed primarily for insulating homes, the Redners saw the benefits of glass wool for filtration. And our journey began. General Filters may not have been the only company to produce furnace filters, but we did it better. Setting the standard for reliability and dependability, General Filters produced a product that helped furnaces run more efficiently while providing families with safer air to breathe. With each evolution of furnace, General Filters was there with a new brand and new product that exceeded the standards of generic brands, offering homeowners a better filter at a reasonable price. Today, you’ll find General Filters products not only in furnace filters, but in residential whole home indoor air quality systems. With the third generation at the helm, our products are offered throughout North America via our vast network of authorized wholesalers. People and products have changed, but the desire to offer high-quality products and excellent customer service remains constant. The Redner family values that built this company remain steadfast as we travel to a bright new future.